Peter Robinson discusses his Detective Chief Inspector Alan Banks series. 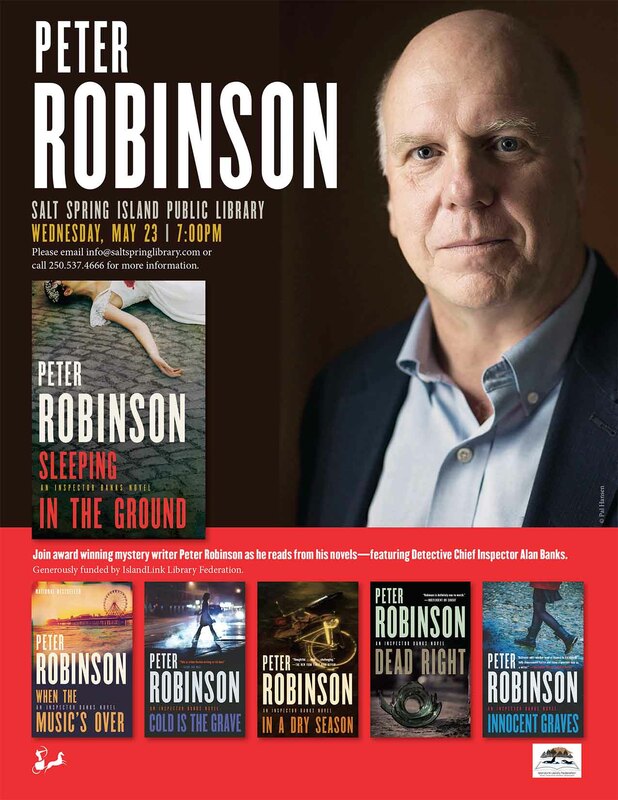 Peter is a well-known Canadian mystery author who has been writing crime fiction since 1987 with the publication of his first book, Gallows View. He is best known for his novels featuring Inspector Alan Banks. He has also published several other novels, short stories, poems and articles on writing. Peter has received numerous awards such as the Edgar, Barry, Martin Beck awards and the Arthur Ellis award several times. In 2018, Peter is releasing the novella Seven Years (Bibliomysteries), and a new novel is also planned for publication. Several of the Peter’s novels have been adapted for television. https://www.inspectorbanks.com/. Generously funded by IslandLink Library Federation.